LINKAGES (Linkages across the Continuum of HIV Services for Key Populations Affected by HIV Project) is a five-year cooperative agreement led by FHI 360 and funded by the U.S. President's Emergency Plan for AIDS Relief. Pact, along with IntraHealth International and the University of North Carolina at Chapel Hill, are partnering with FHI 360 to conduct a range of activities to reduce HIV transmission among key populations. The approach focuses on reaching key populations, ensuring testing, improving their enrollment in HIV care and treatment, and retaining them in the service continuum over time. 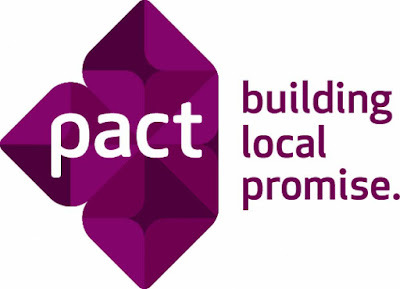 Pact supports the LINKAGES project to strengthen the technical and organizational capacity of CSOs and government, and to provide capacity development support through provision of direct technical assistance as well as through South to South mentoring. Targeted focus areas for LINKAGES are the five districts of Jakarta and three districts in Papua. Reporting to the Grants Manager in Jakarta or his/her delegate, the Senior Grants Officer will be responsible for supporting an efficient and effective grants management process for the LINKAGES grants program. A successful applicant will work with the LINKAGES Indonesia team to contribute to regulatory compliance, assessment and mitigation of business risks, and enforcement of Pact’s policies and procedures. Senior Grants Officer is supported by Grants Officers who provide support on subgrants administration and procurement activities. Under the direction of the Grants Manager, support administration of the full cycle of sub-award management activities beginning from solicitation through selection, pre-award assessments, negotiation, monitoring/compliance visits, and closeout. Under the direction of the Grants Manager, coordinate review and negotiation of awards, including scope of work, budget, payment provisions, reporting requirements and special terms and conditions. Ensure timely training of grantees and Pact staff to understand and comply fully with donor standards. Develop training materials and carry out regular trainings with grantee partners. Assist to resolve contractual issues/problems/disputes arising from sub-grants and sub-awards. Work closely with Linkages staff to make recommendations for field visits and following up on findings. Work with the Project Accountant to ensure accurate and timely disbursement and liquidation of sub-award expenses. Ensure that office systems for grants and contracts administration are maintained and the documentations are complete and that regular reports are provided to the Grants Manager. Assist Grants Manager in the development and monitoring of policies, procedures, and templates. Take the lead in giving training to sub awardees and other relevant parties, related to financial and HR management development, and measure the impact to the technical assistance offered to subawardees. BA in Economics and a minimum of 6 years of relevant experience (or equivalent). Experience in delivering capacity development activities. Strong skills in using Excel spreadsheets. Experience in using computerized accounting software. High initiative and highly motivated with strong attention to detail. Excellent report-writing in Bahasa and English. Qualified candidates are invited to send their cover letter and resume to: indonesiahr@pactworld.org not later than November 24, 2017. Put the position as the subject of your email. Only shortlisted candidates will be contacted.